Then, around the time I took this shot, it dawned on me that we need a slogan to put the Ford, Chevy, and Dodge guys in their place: Life, powered by Toyota. Does Toyota power your life? Tell us all below, with pics to prove it! So…. what has changed with your thinking? It wasn’t too long ago you posted your thoughts and tenaciously questioned whether or not a Toyota truck has a truly reliable reputation backed up by lots and lots of historical facts and years and years of automotive expert comparisons, and testimonials by owners. While I understand the long standing brand rivalry – factual or anecdotal - I don’t understand why we need to put the non-Toyota guys in their place. Isn’t there enough discontentment in the world today? The RAM truck guys can brag about the brute power of the 3500 that will out tow any other pick up on the market. What’s my point? Remember, without the other guys…. Toyota would not look so good. It just comes down to your point of view. OK, this makes two off-topic posts. Back to business! You know I had to jump in here. My lifestyle demands something like a Toyota. Our house was built with Toyotas. I don't even know where to begin. The 1980 long bed I got years ago for $250 still hauls our water supply, 1,680 lbs per load, through an ice hole to our house. The 4runner has had it's ups and downs but we constantly abuse it, towing WAY too much, commuting with it, using it for my work to access remote places, tractor duty, herding animals, vacations etc. Well… in the beginning my life was powered by Chevy. 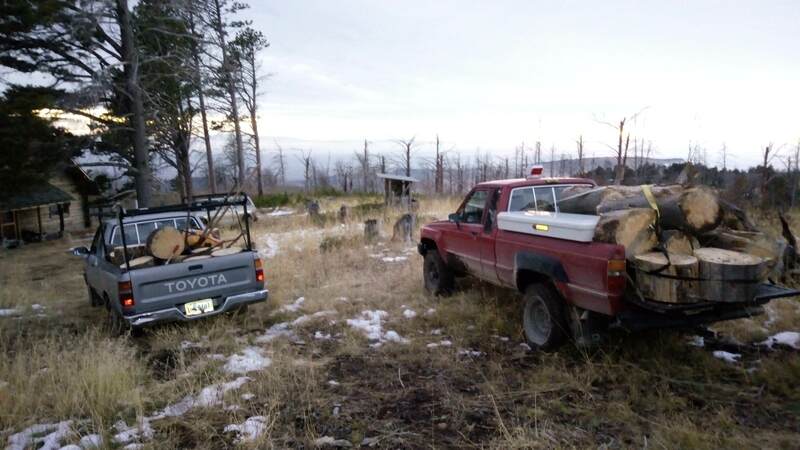 Since 1986 I’ve been powered by a Toyota, starting with my 1986 Longbed, and today I am still powered by a 1986 Toyota truck with my XtraCab. I’m on my 14th Toyota vehicle, 4th Toyota truck. we need a slogan to put the Ford, Chevy, and Dodge guys in their place: Life, powered by Toyota. Okay, I have just been put in my place. No complaints about our Tacoma we bought new in 2005.... but in the 40+ years I have owned my K20, it's done all I asked of it, which has been quite a lot. 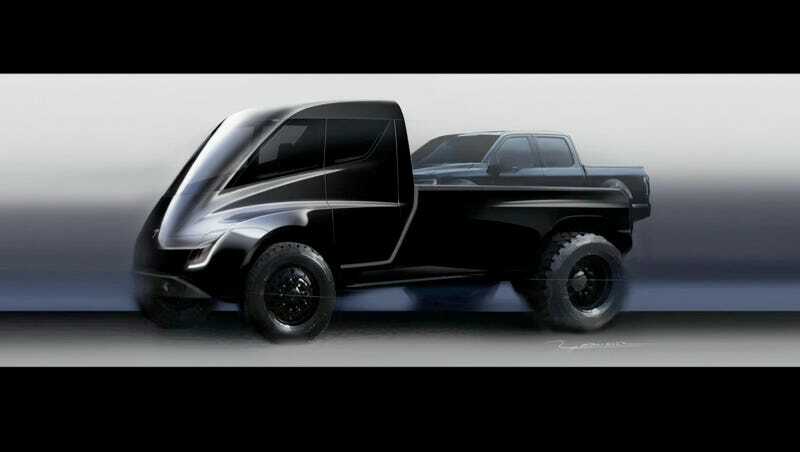 What about the Tesla that can haul an F150? My Toyotas have never let me down. Gnarly4x, I can't quote the picture but that first picture you have posted is awesome I'm guessing that's circa 1986? The photo was taken in 1992-93. The truck was my first 1986 Longbed, 22RE, automatic, Doug Thorley header, 2" free-flow exhaust. That was an incredible truck! I 4-wheeled it all over California, Arizona, and Mexico. The 2NARLY truck is my current 1986 XtraCab SR5, 22RE, 5-speed, I just rebuilt the engine. That photo was taken in 2006 right after I bought it. It is in incredibly nice condition. With the advent of my flatbed things have to be lifted to waist level to get them on there, making logs and machinery difficult propositions. So I invented a Toyota-mounted crane, and built it without one single piece of new material. 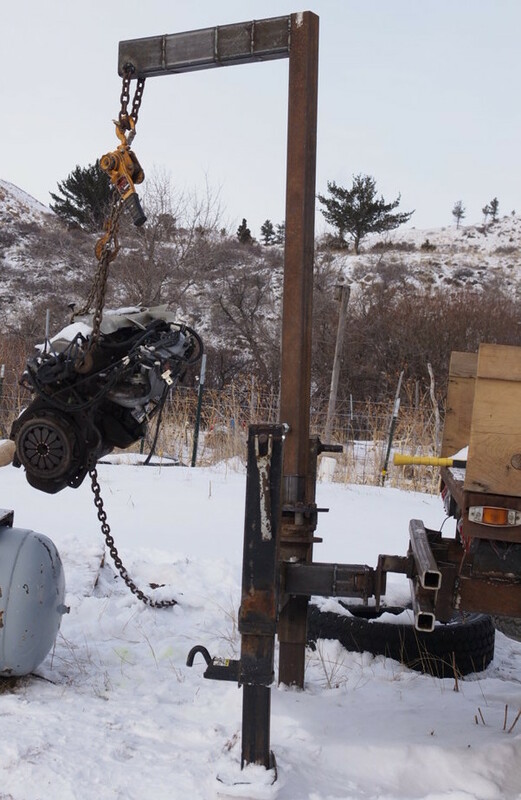 Even the chain hoist is one I found in the scrap pile and bought for $5. Wow.... MacGyver would be SO proud of you!! 5.0 Powered Daily Driven Toyota Convertible truck..
HCI AWD Gas Powered RC Car. SOLD! MOVED: HCI AWD Gas Powered RC Car.